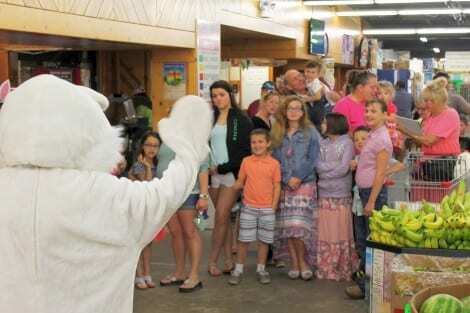 Once again old Mr. Easter Bunny (aka; Peter Cottontail, aka; Jimmy Lumpkins) hopped right into The Big Store (aka; Gulf Coast Market) at 2:00 PM on Saturday, March 26. 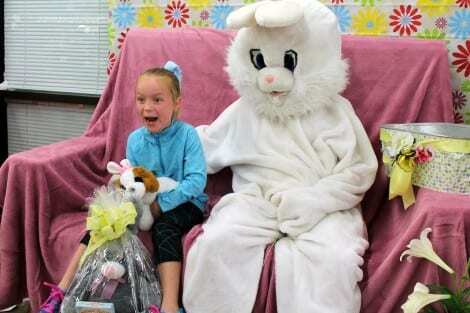 He was shown to his bunny bench by Mrs. Easter Bunny (aka; Mrs. Peter Cottontail, aka; Cheryl Small). 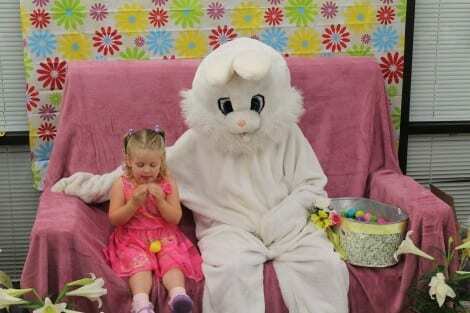 There he welcomed visitors, handed out Easter eggs and steered people over to the refreshment table. Norm and Marilyn Morua and Christina Perry graciously handed drinks and sweets to myriad happy recipients. 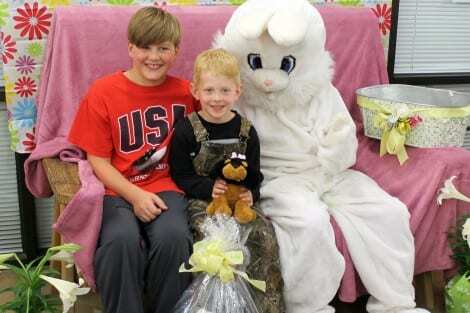 Easter Bunny was hugged, cuddled and thanked by young and old as he procured Easter eggs for everyone. Most eggs contained delicious candies, but there were two very special eggs. Two lucky folks received eggs containing important messages informing them that they were prize winners. Six year old Reagan Lawson of Port Neches thrilled all with her delight when she learned she was a winner. Reagan brightened up the whole place with her continued laughter and smiles. Amanda and Kelsie Pettiet, The Daniels and Peek families, Jaxon and Eaton Harrington, Jack Cramer, Malachi Jones, Joseph Friend who wore a fine tee shirt and a huge smile, Jaiden and Josie Sandlin were among those spotted in the crowd. 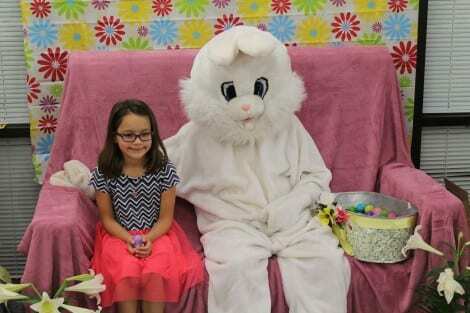 Pia Simon gave a big bunny hug to Peter Cottontail. Christina Perry snuggled up to our rabbit; Pedro Hernandez settled for a hand shake. Big Store photographer, Danny Norris, snapped pictures of everyone. These great photos will be posted on The Big Store’s Facebook. Love it! I missed being at the beach this Easter. There’s no place like it!